The Euro is caving in after the elections. Those in the money know this is doomed. This will help to give a bid temporarily to gold and the dollar. For as people have been pitching that the dollar will decline and gold will rise is purely a domestic view point. The international view point is what happens if the currencies of other nations come under fire? That will lead to the dollar rally. We do not see gold actually reversing its downtrend just yet. Nevertheless, this is not a one-for-one relationship that dollar down gold up. That is a purely myopic US view point as if the rest of the world did not matter. The June turn we warned about at the World Economic Conference so far seems to be developing. 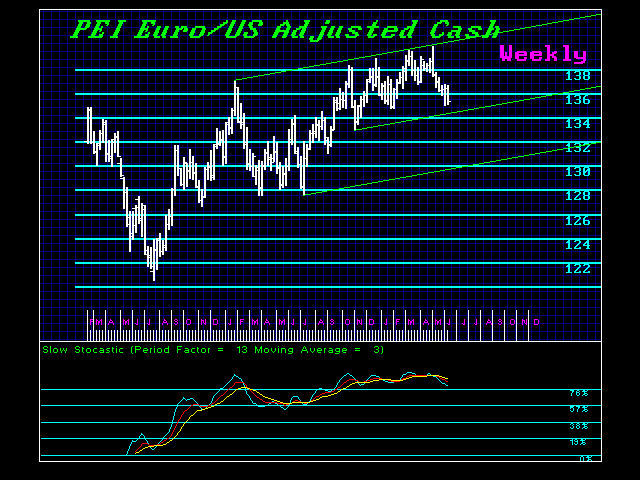 The Euro appears to have ended it rally and we just could not reach the reversals. The old adage – what will not go up, only goes down. The directional Change came in nicely for this week, but we have a turning point next week. We should probably see a temp low form. Europe does not look very good in the least. Austria cannot even afford gasoline for its NATO troops. How bad does this crazy idea of socialism have to get before someone wakes up and realizes that centralized control kills the economy.